As the Daylight Saving Time (DST) comes to an end on Sunday at 2 a.m., it is time to shift back to standard time, allowing most people in the U.S. to enjoy an extra hour of sleep. Residents of Hawaii, Arizona and other territories of the U.S. don’t have to change the clock, as the DST doesn’t include those regions. Red Cross officials take the opportunity to encourage citizens to change the batteries of smoke alarm devices. This clock itineration was first introduced by President Woodrow Wilson during WWI, back then called “fast time”, with the intention of saving fuel during the war. As the WWII developed, the label was changed to “War Time”, evolving later to Daylight Saving Time on these days. One benefit of DST is the possibility to enjoy the sun on the warmer months of the years. Studies conducted the past years show that DST results in people being happier, as the rate of traffic accidents is reduced. Also, crime rates drop, according to Jennifer L. Doleac from the University of Virginia, by an analysis she made on 2007. Nevertheless, people are complaining about having to change the clock twice a year, proposing that the DST shift should be followed all year long. Assemblyman Chris Edwards, from Nevada, is part of the group that asks for this change —at least on his state. “Today we have eight months of daylight saving and only four months of standard time. 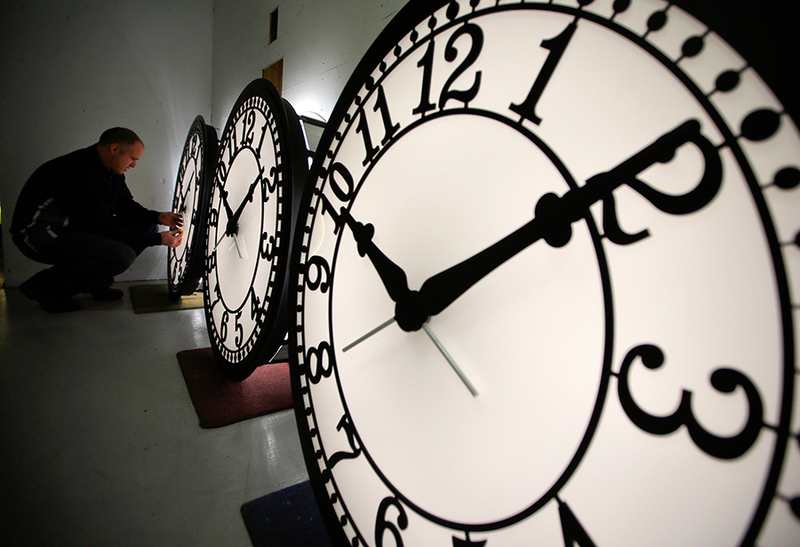 Can you tell me which time is the standard?,” Professor Downing asks, according to the Christian Science Monitor. Downing, the author of the book “Spring Foward: The Annual Madness of Daylight Savings,” argues that DST has economical purposes behind it. Downing explains that when the shift was implemented, the Chamber of Commerce sought to give workers more sunlight at the end of the day, so they would go shopping at the way home. Moreover, some scientists sustain that the brain has an internal clock that allows us to keep track on how the time passes, and that this shifts can get us all confused, according to LiveScience. Regardless of these debates, DST will return on Sunday November 1st, at 2 a.m. local time on March 13, 2016, as it is one of the strangest ideas that have an impact in the U.S.